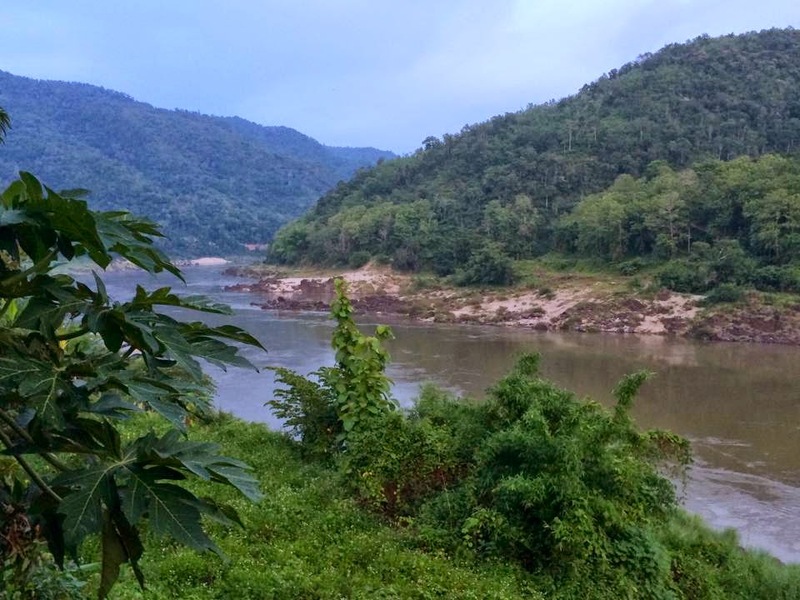 Like everyone, we’d heard how incredible Luang Pranang in Laos is meant to be. 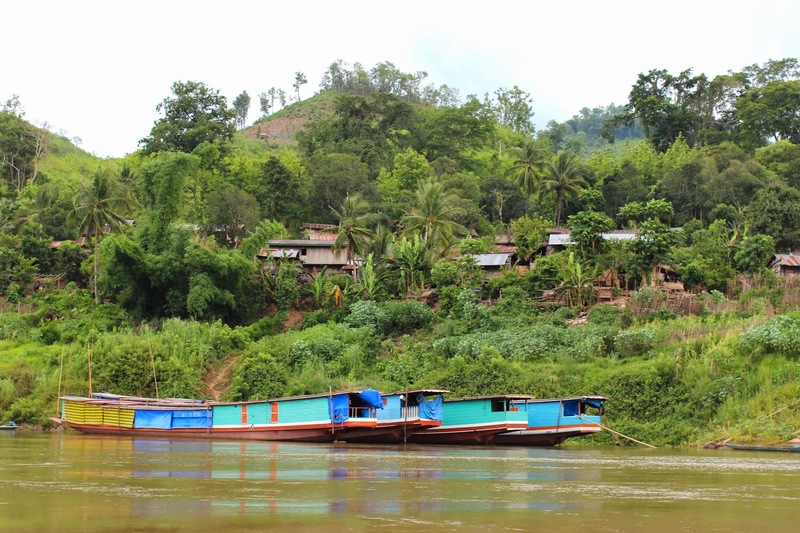 In order to get there from the much loved Chiang Mai in Northern Thailand, which is the usual route, you need to catch a mini van to Chiang Khong on the north east, a very small town on the river that separates the two country’s. The travel agent who we booked the bus with said it was about a three hour journey, but as always in Asia it took more like 7 hours. 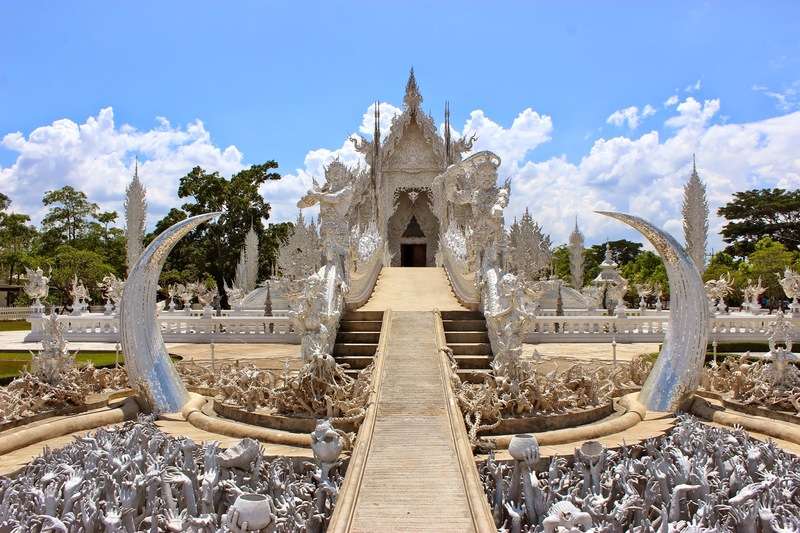 We were lucky to have an unexpected stop in Chiang Rai on the way to visit Wat Rong Khun, a contemporary and unconventional buddhist temple. Without a doubt this has to be the weirdest temple I’ve ever seen. It’s entirely white and in a shape that reminds me of a castle an evil witch in a film would reside in. When you get close up you notice thousands of cement hands reaching out from the ground. It’s really bizarre and eerie. We were unable to go inside as it was affected by a major earthquake two weeks before but I’ve been told by friends and read online it’s even weirder inside. One wall adorns hundreds of buddha statues like every other temple whilst the other shocks the system with paintings of the twin towers burning down, paintings of Michael Jackson, Freddy Kruger, Spiderman, Harry Potter and the Terminator. Strange, strange place. We knew we had to stay the night and wait until morning to cross the border into Laos and after a quick look on the main road discovered that their was literally nothing to do here. The resort had a room with three beds, a private bathroom and a fan labelled ‘luxury triple,’ for $3 each. I wouldn’t call it luxury, between 8am and 6pm it was so hot inside it felt like a sauna. But they did have a pool so we spent the rest of the afternoon cooling down in the luke-warm water that Thai pools have in common and socialised with the other travellers. The hotels restaurant set meal was Pad Thai and we just couldn’t bare to eat this again so went out to look for dinner. It was a struggle, this town was ridiculously small so we looked for ages before asking someone where to go. He said there would be places on the river. There was one restaurant, which was quite busy with the locals so we decided we’d give it a go. We didn’t have much choice really. We ordered the safest foods we could, fried rice and noodles. It was cheap, at $1 a meal. But at 3am Andy and I woke up with dodgy stomachs. I felt like crap but was still able to sleep and function. Andy on the other hand spent the night in the bathroom, vomiting his guts up. We were meant to leave for the border at 7am but we decided he was too sick to travel so we stayed an extra night. It was a long, stinking hot day. It was about 40 degrees, the room was far too hot to be inside, so we spent the day going back and forth between the cold outside shower and the shade as the pool just made us feel worse. We ate some plain bread late in the afternoon and that was about it. It was the longest day of doing absolutely nothing, we couldn’t believe how early it was when we looked at our watches at 3pm. We were lucky that a storm hit at 4pm which made it cool enough to go into our rooms earlier than expected. The next morning we awoke at 7am and headed for the border crossing. It was a very smooth and fast process. We handed in our passport and departure card to the happy customs man, got our stamps and paid the 25 baht for the shuttle bus across the bridge. We then exchanged currencies, filled in our visa on arrival forms, paid the $30 USD for the visa and the extra $1 cause I didn’t have a passport photo (they didn’t take a photo of me, apparently the extra dollar suffices) and then walked out into Laos. Perhaps a thirty minute process in total, so nice and easy. 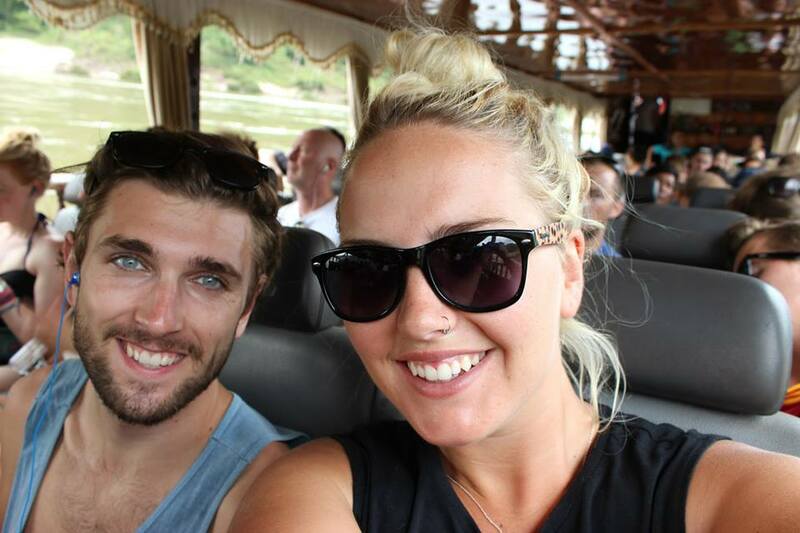 We then asked a tuk-tuk for a ride to the slow boat pier. 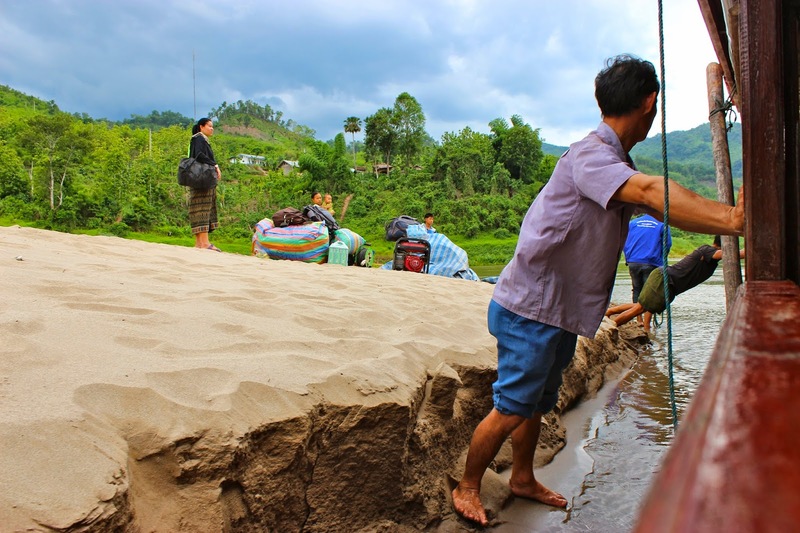 Immediately we noticed the difference in Laos and Thailand, how much more undeveloped it was. It reminds me of Africa a bit. Despite it being undeveloped in most part we were really impressed by their street lights, which were solar powered. I’ve never seen this anywhere. How can a small town in a country this poor be so much more modern and environmentally friendly? It was truly impressive. Upon arrival we noticed that the boat fee was a lot higher then we thought. They were charging 220,000 kip (about $30), but prices were non negotiable so we had no choice. 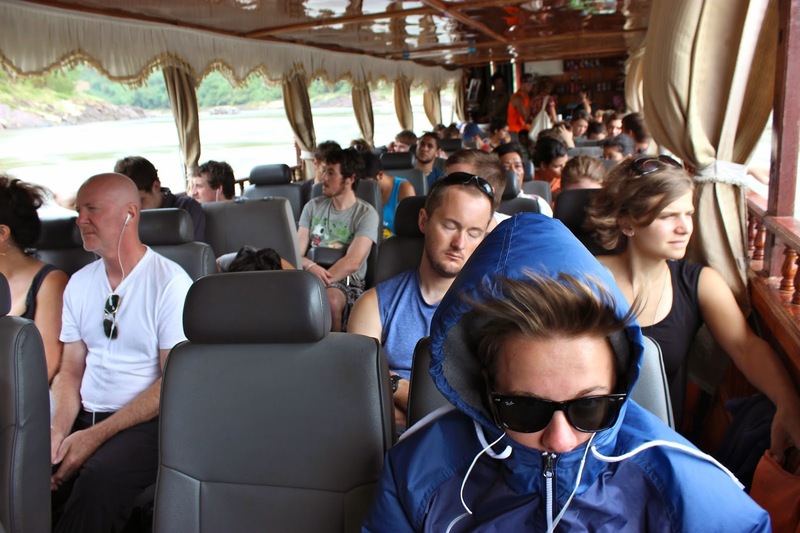 We met a few girls who caught an overnight bus for 1600 baht ($53), which took over 24 hours from Chiang Mai, which is definitely an option, but we’d heard how great of an experience the slow boats were. Andy and I were clever and grabbed a loaf of bread and chips for the journey. Jordan was not. The smile on his face after I offered him a chip sandwich was priceless and one of pure joy. Day one was slow but not unbearably so. I spent the time listening to music, writing my blogs and at the end watching ‘Friends’ on my MacBook. After seven hours we finally arrived in Pakbeng, the town we were to spend the night in. The town was much bigger than I expected it to be and definitely much larger and more developed than the little villages we drove past on the boat with their thatched huts. It’s such an interesting ride. It’s always humbling and eye-opening to see how the rest of the world lives. 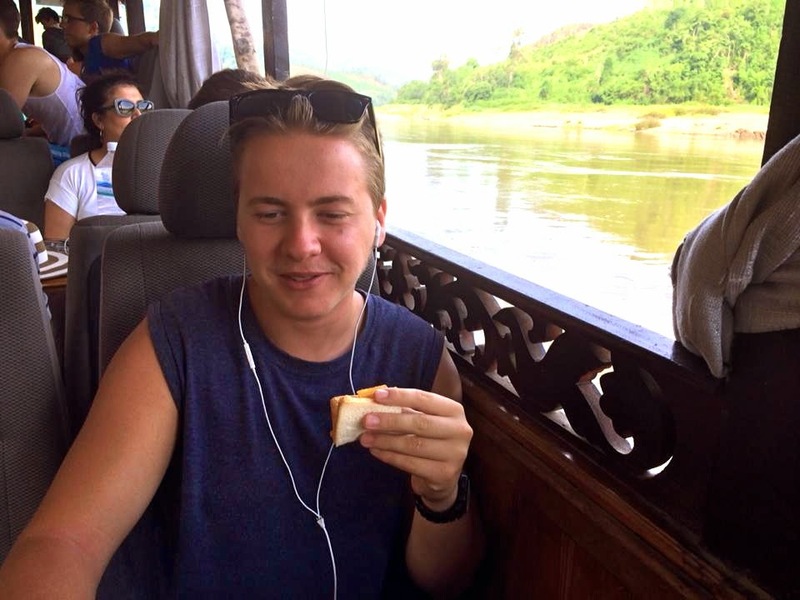 On our boat trip we overheard people talking about how Laos food is supposed to be delicious due to the fact that it’s a mix of Asian and French cuisines. We were so excited to be able to eat a baguette. Bread in Thailand is comparable to that in America. Ridiculously sweet. So it was so lovely to eat bread that had no sugar in it. As soon as we got off we were swarmed by Laos men trying to sell us rooms in their guest houses. An older couple chose the nicest accommodation in the town at 350 baht a night ($10) whilst we opted for the cheaper 100 baht ($3) option at Boumnee guesthouse. It was basic but great for the cost. Our room had three beds, a private bathroom with a fan and the guesthouse had a cute restaurant with a veranda overlooking the river. Not to mention a litter of puppies falling over everywhere. We all agreed they should advertise the puppies with the guesthouse, it was our favourite part. 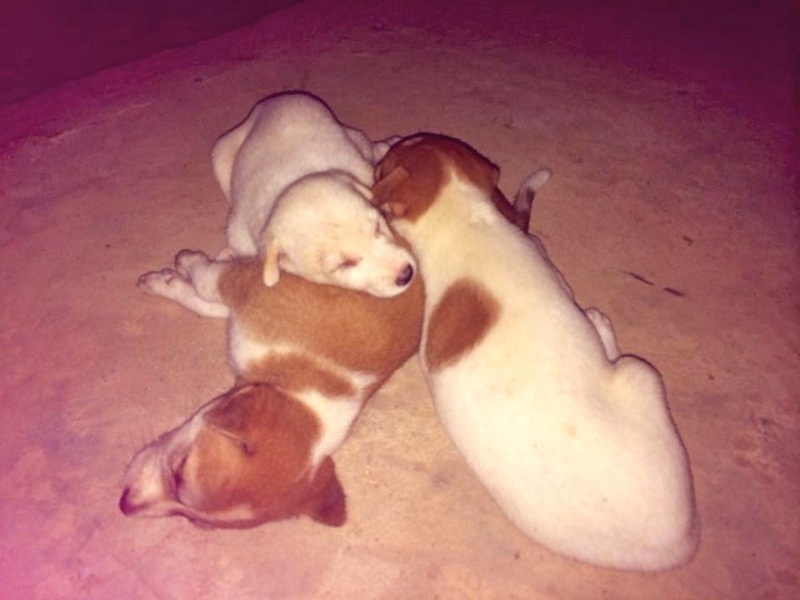 Were the puppies covered in fleas? Yes. Did Jordan’s bed have bedbugs? Yes. Did our toilet flush? No. Was our shower stronger than a drip? No. But that’s all part of the great experience we call travelling, right? So we awoke early, packed our bags and after ordering a bag full of baguettes and crisps made our way to the boat. Their was a bit of confusion on what time the boats left the following day. Their was a mixed consensus of 8.30am, 9am and 9.30am. To be safe we decided to arrive at 8am. We didn’t want to miss it. We wanted to make sure we got a good seat and have our bags securely under the boat. We knew that it would be a different boat and we’d heard so many stories of bags being put on the roof and falling off and of the ‘seats’ being wooden benches or the floor, particularly in the busy season. Imagine how painful that would be after seven hours! We were so glad we got there when we did. Many were already on the boat and within ten minutes almost the whole boat was full. We were speaking to a few girls at the guesthouse that morning who were adamant the boat left at 9.30. Of course they were some of the last ones to get on. To make it worse as soon as they put their bags down they ran off to the shops for food, only to return twenty minutes later. Then, as the boat had just left the ‘pier’ one of those girls screamed she had left her phone in the hostel room and needed us to turn back. Needless to say these girls didn’t win many fans on the boat. The boat ride was slow and torturous. Three hours felt much longer than the previous days six. We were so glad to have a seat though as lots of people who had come late had no choice but to sit on the ground in the back, where the engine was so loud you couldn’t hear anything or anyone else. The ride was entertaining though. At one point we stopped at a little village to drop some locals off. The boat docked on a sand dune but was then unable to get off again, which resulted in many local men having to push the large boat back into the river. Then all the sudden a Laos women, who seemed to live/work on the boat ran down the boat, whilst her baby was breast feeding, screaming. A few items on the roof had fallen off and we had to go back and retrieve them. At first due to the distance it looked to be backpacks but as we got closer we saw they were some kind of oil containers. It was a bit of a palaver retrieving them. Everyone stood up to look and the whole boat swayed unevenly, almost tipping us all in. That would have been interesting. After a few more hours, we arrived in beautiful Luang Prabang. 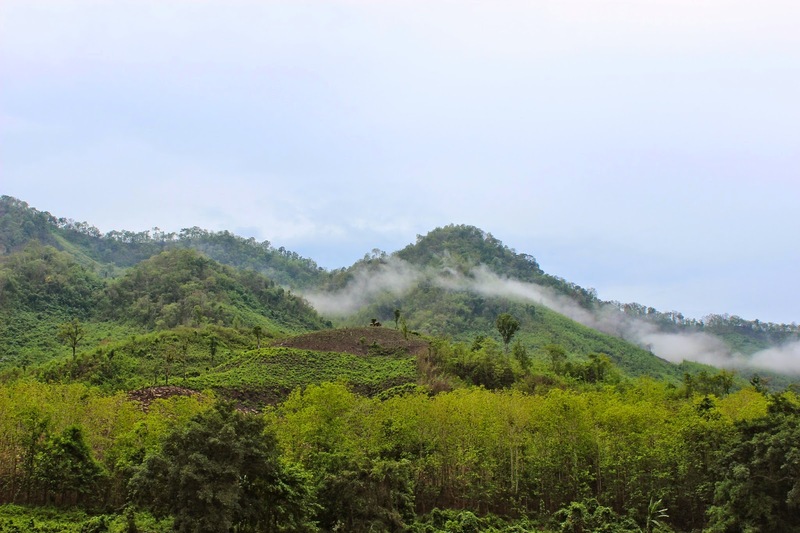 Read: Everything To See and Do in Luang Prabang, Laos! We all agreed that it would be fun to grow up somewhere like here, the kids on the shore all just ran around swimming, playing in the sand, swinging off trees and playing with cardboard boxes with screams of delight. Such simple things to entertain them, but they were happy.